Bhopal, October 29, 2015 (Ataullah Faizan): Jammu-Kashmir’s Consumer Affairs and Tribal Welfare Minister Choudhary Zulfiqar Ali met SC and ST Welfare Minister Mr. Gyan Singh and apprised himself about departmental activities here today. Mr. Singh informed that priority has been attached to SC and ST welfare in the state. The state government has allocated Rs. 15 thousand crore in the budget for welfare of these sections. 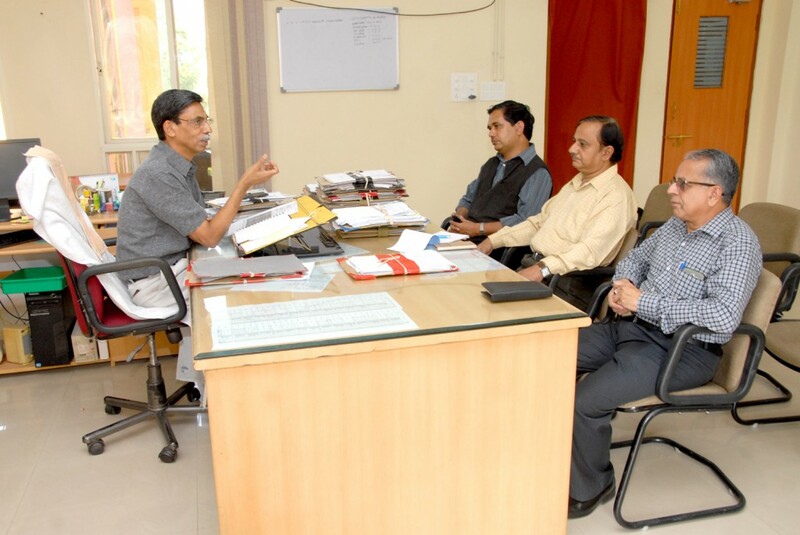 Departmental Principal Secretary Mr. Ashok Shah informed that assistance is being given in education, health, agriculture, irrigation, housing and other sectors for welfare of these sections. He informed that well-equipped hostels have been established for students of these sections. The delegation was informed about implementation of SC, ST (Prevention of Atrocities) Act in the state. Commissioner Tribal Development Mr. J.N. Malpani gave information about departmental activities. Kashmir’s Minister Mr. Ali lauded works being done by Chief Minister Mr. Shivraj Singh Chouhan. He also invited Minister Mr. Singh to Jammu-Kashmir.